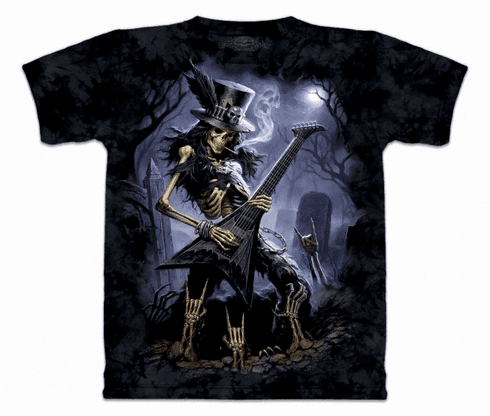 Rising in the night from his dark and dank grave, Slash hammers out some crankin' from the netherworld. Rock on, man. Rock on. From the Skullbone 2010 Collection. Earth friendly T-Shirts made with all organic dyes and water-base inks.